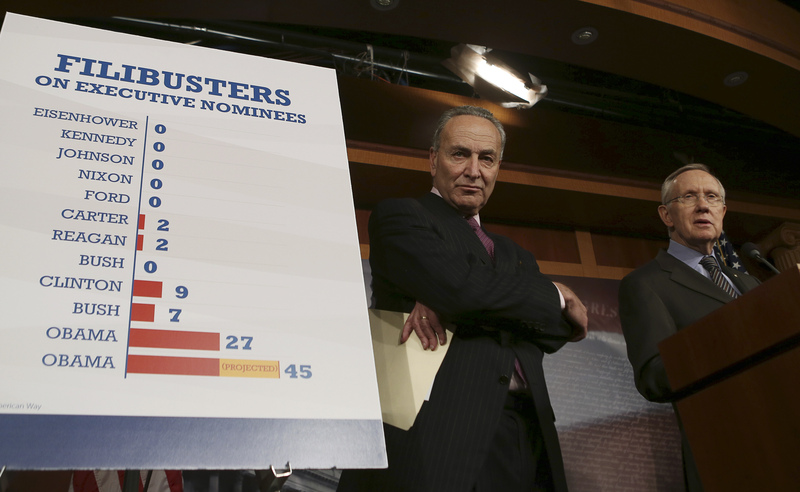 Democratic lawmakers tweaked a procedure to make it easier to approve presidential nominees. With several confirmations stuck, that might sound like a good solution. But it removes a check on power by handing too much to one party. That’s bad news for independent regulators. On Nov. 21 U.S. Senate Democrats changed congressional rules to allow presidential appointees to be confirmed by a simple majority, instead of requiring 60 votes. The historic tweak will not apply to potential Supreme Court justices, but it would apply to other judges, regulators and other executive nominees.